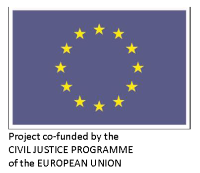 Thanks to a significant action grant provided by the European Union under the "Civil Justice" Programme in partnership with the Hague Conference on Private International Law, nine of its Member States (Austria, Finland, France, Germany, Latvia, the Netherlands, Norway, Romania and Switzerland) and three organisations (the Council of Bars and Law Societies of Europe (CCBE), the Italian Institute of Legal Information Theory and Techniques (ITTIG) and the International Union of Judicial Officers (UIHJ)), the iSupport project commenced in September 2014. The objective of the iSupport project is to develop, within a two-year period, an electronic case management and secure communication system to facilitate the fast, efficient and cost-effective cross-border recovery of maintenance obligations under the 2009 European Union Maintenance Regulation and the 2007 Hague Child Support Convention. It will allow States to provide their citizens with effective access to justice to and realise considerable savings. allow States to implement paperless case management. The iSupport project is managed by Ms Brigittte Voerman, Project Director, whose previous work experience includes the development of the electronic case management and transfer of funds system of the Netherlands national authority responsible for the recovery of maintenance obligations (Landelijk Bureau Inning Onderhoudsbijdragen (LBIO)) which is also the Central Authority designated under the 2009 Regulation and the 2007 Convention. The project is being carried out under the responsibility of Mr Philippe Lortie, First Secretary at the Permanent Bureau of the Hague Conference. iSupport is designated as "priority A" in the multi-annual European e-Justice Action Plan 2014-2018. For more information on iSupport, please click here. The contents of this press release are the sole responsibility of the Permanent Bureau of the Hague Conference on Private International Law and can in no way be taken to reflect the views of the European Commission.